Prominent & Leading Manufacturer from Noida, we offer misting systems, fog cannon, cooling systems, humidification system and dust suppression systems. 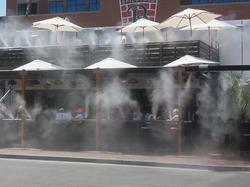 Fog Cannons are very effective for evaporation cooling effect. 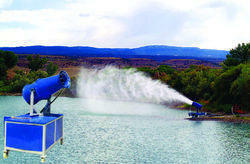 We manufacture and supply fog cannon equipment for Cooling, Dust Suppression, Humidifying. 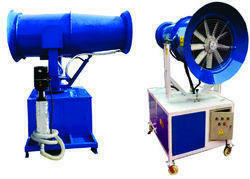 These machines are available having a throw distance of 30m, 40m,60m,80,100m and 120m. 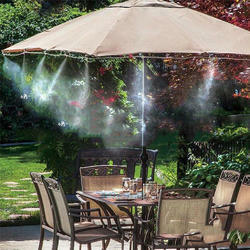 We offer all types of Humidification systems for outdoors as wellas indoors. 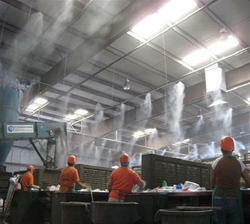 We offer all types of cooling systems, dust supression systems, oror control systems, and air pollution control systems. We offer a wide range of dust supression systems. 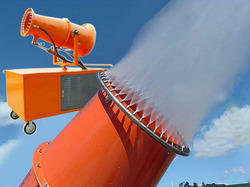 Looking for Misting sysstems ?